Necessary Endings (2010) is concerned with endings and why it’s sometimes best that certain business or personal relationships reach closure. 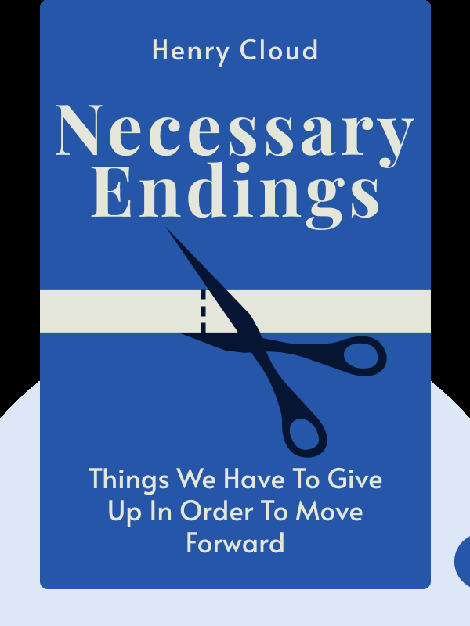 Whether in our work or private lives, endings are necessary if we want to thrive and realize our dreams. But endings are rarely – if ever – easy. This book in blinks provides plenty of good advice on how to engineer them for your benefit. 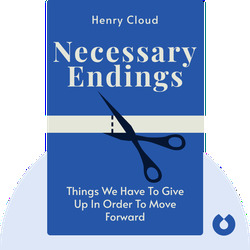 Henry Cloud trained as a clinical psychologist and is a successful leadership consultant. He also coaches business executives on performance and leadership. Aside from being a frequent motivational speaker, Cloud is a bestselling author and has published Boundaries, The One-Life Solution and Integrity.